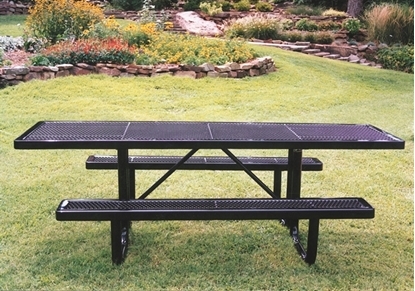 Shop ADA Handicap Picnic Tables that are wheelchair accessible for easy access. 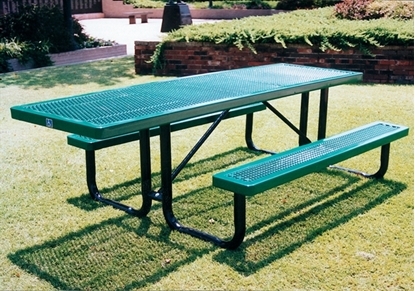 Choose from a variety of universal access, handicapped accessible, and ADA compliant picnic tables. 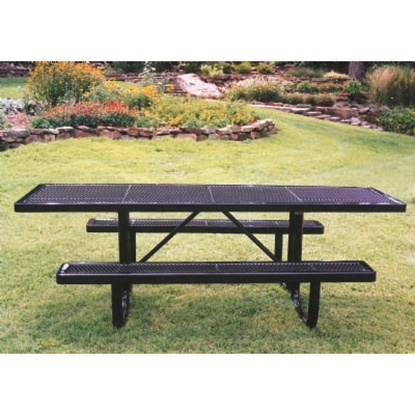 RHINO ADA Rectangular 8 Foot Thermoplastic Steel Picnic Table, Portable, Seats 8 adults, Handicap Accessible, 231 lbs. 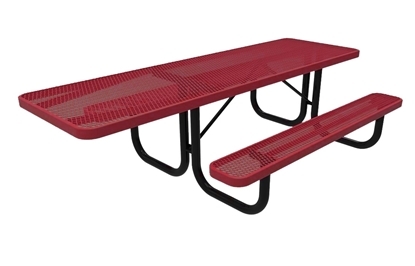 ELITE Series ADA Pedestal 8 Foot Independent Rectangular Thermoplastic Steel Picnic Table - Quick Ship - Surface and Inground Mount, Seats 8 Adults, 298 Lbs. 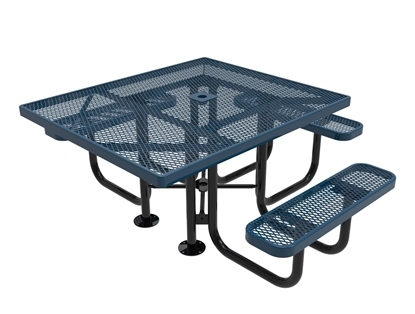 ELITE Series Dual Access ADA Pedestal 8 Foot Independent Rectangular Thermoplastic Steel Picnic Table - Quick Ship - Surface and Inground Mount, Seats 8 Adults, 299 Lbs. 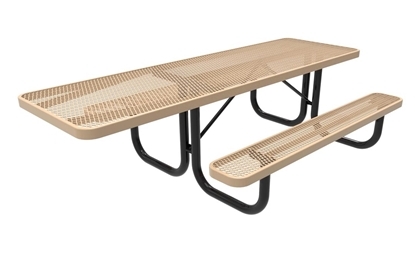 ELITE Series ADA Rectangular 8 Foot Thermoplastic Steel Picnic Table, Portable, Seats 8 adults, Handicap Accessible, 212 lbs. ELITE Series ADA Rectangular 8 Foot Thermoplastic Steel Picnic Table, Portable, Seats 8 adults, Handicap Accessible on Both Ends, 214 lbs. 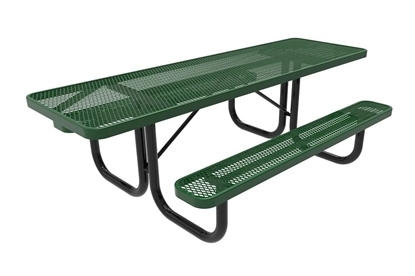 RHINO ADA Rectangular 8 Foot Thermoplastic Steel Picnic Table, Portable, Seats 8 adults, Handicap Accessible on Both Ends, 236 lbs. 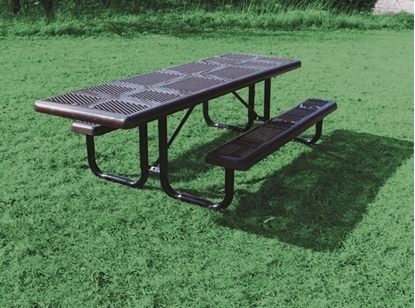 ADA Handicap Picnic Tables meet ADA requirements for picnic areas. 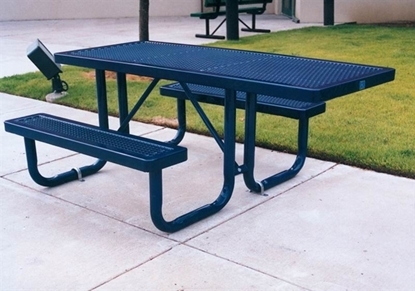 Wheelchair Accessible Picnic Tables allow for easy access for the handicap. 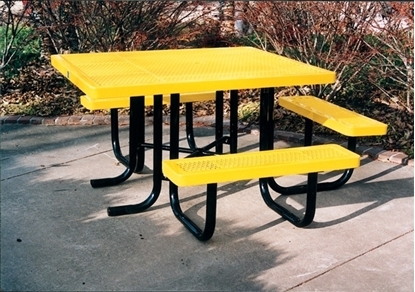 Our standard styles including thermoplastic coated picnic tables, plastisol picnic tables, concrete picnic tables, wood picnic tables, recycled plastic picnic tables and aluminum picnic tables offer companion wheelchair accessible picnic tables. These tables allow for easy access for those in wheelchairs and those without to interact. The American Disabilities Act provides that picnic tables must provide adequate seating for handicap individuals. Check federal guidelines to purchase the correct quantity for your project. Call our professional staff for assistance with your orders.